The Best Summer Movie Bargain! 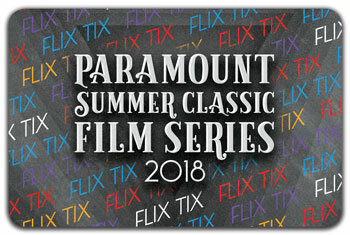 FLIX-TIX gives you 10 admissions, good in any combination to the Summer Classic Film Series, for only $60 ($50 for Film Fan members). FLIX-TIX also make great gifts! UPDATED: Just bring your Flix-Tix card to the theatre doors to gain entry. Once you have your card you will not need to go to the box office before films. This card is valid for 10 film tickets during the 2018 Summer Classic Film Series only. All FLIX-TIX cards sold during the 2018 series will expire on September 2, 2018.